Everyone remembers the day they passed their road test and received their driver’s license. Getting a license opens up a world of options for drivers and provides them with a sense of independence that they didn’t have before. If you received your license a long time ago, and are now a senior citizen driver, you may begin to notice certain limitations that could potentially impact your ability to operate a vehicle. While for some, driving at an advanced age may no longer be advised, most seniors can still enjoy the benefits of driving by taking a few extra precautions. Jamaica Hospital’s Trauma Division is offering the following tips to senior drivers to help them avoid injury to themselves, other drivers or pedestrians while on the road. Have Your Vision and Hearing Checked Regularly – Be aware of any ocular conditions, such as cataracts, glaucoma, or macular degeneration that might affect your vision. If you wear glasses or contacts, make sure you wear them while driving. Similarly, if you require a hearing aid, make sure you don’t drive without one as it is an important device to help you hear car horns and emergency sirens. Be Aware of Other Health Factors – Pain or stiffness in the joints can limit mobility and your ability to check mirrors or turn your head. Chronic fatigue can be a problem, especially during long drives, and certain chronic conditions such as diabetes or seizure disorders can affect your safety. Side effects from medications can also impact driving and should be discussed with your doctor or pharmacist before driving. Know Your Limitations – As you age, it’s important to acknowledge that certain motor functions might not be as sharp as they once were and should be taken into consideration while on the road. It is advised that seniors should increase their following distance, use their brakes earlier, try to anticipate situations before they occur, and try to avoid highly trafficked areas when possible. Avoid Dangerous Driving Conditions – Controlling your car in inclement weather, such as rain or snow is more difficult and therefore should be avoided. Driving at night can also pose increased risks because reaction times are often affected during this time of day. Lastly, driving during rush hour presents additional opportunities for accidents to occur because other drivers tend to be more aggressive and inpatient. Under these conditions. Getting older doesn’t mean that you can no longer drive. By following these tips, you can continue to drive without feeling as if you are a danger to yourself or others. If however, you feel concerned about your ability to drive, it doesn’t mean you have to give up your independence. There are many car fare services and public transportation options that can still get you where you want to go. There has been a great deal of attention paid to the dangers associated with distracted driving. 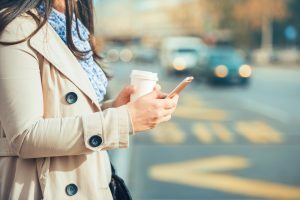 We have seen the public service announcements warning drivers not to text or talk on their phones while behind the wheel, but what about the dangers of being a distracted pedestrian? There has been a recent and dramatic increase in the number of pedestrians struck by automobiles and killed in recent years. While some of this can be attributed to distracted drivers, those not paying attention to their surroundings while crossing the street has also been reported to play a role in many incidents. One study conducted by researchers at Ohio State University concluded that the number of pedestrians (or “petextrians” as they are commonly referred to) injured while on their cellphones has doubled over the last decade. Studies suggest that distracted walkers take longer to cross the street and are more likely to ignore traffic lights or neglect to look both ways while crossing. These problems are particularly prevalent among teens, but it’s important to note that all age groups are vulnerable to these dangers. Walking is one of the best things we can do to stay healthy, but only if we put safety first. Jamaica Hospital’s Trauma Division wants to warn our community that the risk for injury and death escalates when a pedestrian is not focused on his or her environment and our staff wants to spread the word on how pedestrians can avoid senseless injuries and death. Traumatic Brain Injury is a very serious public health issue in the United States. A Traumatic Brain Injury (TBI) is categorized into two major types of injuries: Penetrating Injuries and Closed Head Injuries. Penetrating injuries occur when a foreign object (e.g., a bullet) enters the brain and causes damage to specific brain parts. Closed Head Injuries result from a blow to the head as occurs, for example, in a car accident when the head strikes the windshield or dashboard. Between 2002 and 2011, the number of children making trips to emergency rooms for brain injuries increased by 92 percent. During the same time, the number of those admitted to the hospital for further observation or treatment also increased by about 10 percent. 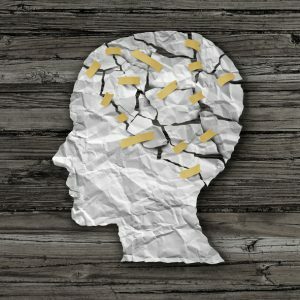 The Centers for Disease Control and Prevention has called traumatic brain injury an “invisible epidemic,” because unlike other injuries, such as broken bones, the symptoms are not always immediately identifiable. According to the CDC, almost 500,000 emergency room visits for traumatic brain injuries each year are made by children under the age of 14. And each year, emergency rooms nationwide treat nearly 175,000 sports-related traumatic brain injuries among children under the age of 19. With March being Brain Injury Awareness Month, The Jamaica Hospital Department of Surgery Trauma Division wants to make sure you and your loved ones recognize traumatic brain injuries in children. 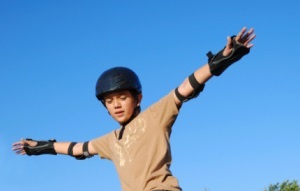 Make sure your children wear helmets when riding a bike, scooter, or playing a contact sport, such as football, baseball or ice hockey. YIKES! Did I Really Do That? Whether you’ve accidently tripped over a child underfoot or walked into a doorway with your infant’s head in the lead, you’ve caused a child an accidental injury. 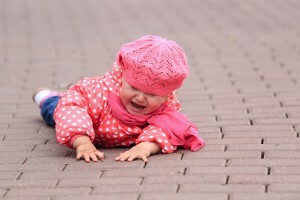 When you accidentally hurt your child, you may feel intense shame, even panic and a sense of self-loathing or blame. Even when your head clears, you may feel like you are a terrible parent. These feelings are confusing. You may ask yourself, “How could I have done that?” The truth is, children and accidents are synonymous; even the preventable ones. It is hard to see your child in pain and even harder to know that it is your fault. Your mind will replay the event in your head many times while you are slowly accepting what happened. In most cases, the child is not badly hurt and you can find comfort in realizing that while accidents happen, most of them are not serious and your child is not quite as fragile as you think. As you tell the story of what happened to your child, you will realize that most people understand and, in fact, it has happened to the best of parents. At this point, you will find it easier to forgive yourself. Still, you and your child suffered a trauma and it will take time for both of you to heal. During this time, you should be kind to yourself and keep in mind that you will not always feel this way. After the guilt lessens, you should experience acceptance. If you are having difficulty coping and the reactions have become prolonged symptoms, you may be experiencing a response to trauma called Post Traumatic Stress Disorder (PTSD). If the negative feelings persist, you shouldn’t be afraid to ask for help from a physician, counselor, clergy member, friend and family member. Jamaica Hospital Medical Center’s Mental Health Center is centrally located and has convenient hours. To make an appointment with a physician or licensed professional, call 718-206-7001. 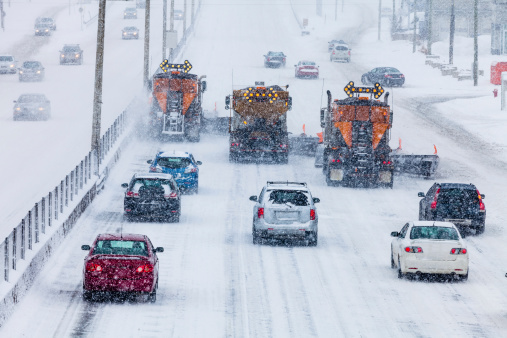 Severe weather and snow can prove treacherous for drivers during the winter months. Every year there is an average of 500,000 motor vehicles accidents due to snowy and icy weather. Over 150,000 injuries and nearly 2,000 fatalities are reported annually from driving in these conditions. Jamaica Hospital Medical Center’s Trauma Division wants all motorists to have a basic understanding of how to practice proper safety while driving in wintry conditions. The best tip to avoid getting into an accident during inclement weather is to avoid driving and stay home. To elude getting caught in a storm, be sure to watch weather reports for both your location as well as your destination in an effort to delay or reschedule unnecessary long trips. If however you must venture out, take the appropriate precautions and make sure you are properly prepared. • Avoid driving while you’re fatigued. Getting the proper amount of rest before taking on winter weather tasks reduces driving risks. • Always make sure your vehicle is in peak operating condition by having it inspected by a licensed mechanic. • Use your seat belt every time you get into your vehicle. • Accelerate and decelerate slowly. Applying the gas slowly to accelerate is the best method for regaining traction and avoiding skids. Don’t try to get moving in a hurry. And take time to slow down for a stoplight. • Drive slowly. Everything takes longer on snow-covered roads. Accelerating, stopping, and turning all take longer on wet surfaces than on dry pavement. • Do not use cruise control when driving on any slippery surface. • Know your brakes. Whether you have antilock brakes or not, the best way to stop is threshold breaking. Keep the heel of your foot on the floor and use the ball of your foot to apply firm, steady pressure on the brake pedal. • Don’t stop if you can avoid it. There’s a big difference in the amount of effort it takes to start moving from a full stop versus how much it takes to get moving while still rolling. • When going uphill, avoid applying your brakes or attempting to accelerate. Attempting to accelerate after braking places extra pressure on your tires and will cause your wheels to spin in place. Jamaica Hospital’s Trauma Division treats an increased amount of motorists during winter storms. It is our goal to have you avoid unnecessary accidents by practicing safe driving this winter. Hoverboards are the hot new toy, but how safe are they? These self-balancing scooters are on the top of every kid’s (and some adult’s) list to Santa this year, but as these unregulated travel devices rise in popularity, so too have trips to the Emergency Department. Hospital ERs across the country are reporting a series of injuries, from scrapes and contusions, to fractures and sprains, to even head injuries resulting from hoverboard accidents. These toys can reach maximum speeds of 15 miles an hour and falls from them can cause significant harm. All you have to do is go to You Tube, Twitter, or Instagram and type in #HoverBoardFalls to see how dangerous hover-boards can be if the rider (or parent, if the rider is a child) does not take proper precautions. Hoverboard price and quality vary greatly so read online reviews from previous buyers before purchasing one. Also, because they are so new to the market, there are no national safety standards for hoverboards. Until regulations are in place, riders should follow the same safety guidelines they would for riding a bicycle, including wearing a helmet, elbow and knee pads, wrist guards and/or gloves. Other tips to follow before getting on a hoverboard include carefully reading the instruction manual to learn how to properly operate it. Also make sure to adhere to all safety rules, including age and weight recommendations. It is a good idea to have a “spotter” with you when you first attempt to ride your hover-board in case you fall. Lastly, riders should not use their hoverboards in the street or on public walkways to avoid seriously injuring themselves or others. Like everything else, hoverboards can be a lot of fun if they are used responsibly. Happy and safe riding! As the holiday season approaches, the kitchen can become especially busy for many. During this time of year, we tend to host more family dinners, and holiday parties. With all this increased kitchen activity, safety can sometimes be overlooked. While cooking-related injuries can take place any time of year, these incidents tend to increase in frequency around the holidays. Some of the injuries that take place in the kitchen include cuts, sprains and eye-related injuries, but the most common type of cooking-related injury are burns to the skin from hot liquids such as water, grease, or other substances. 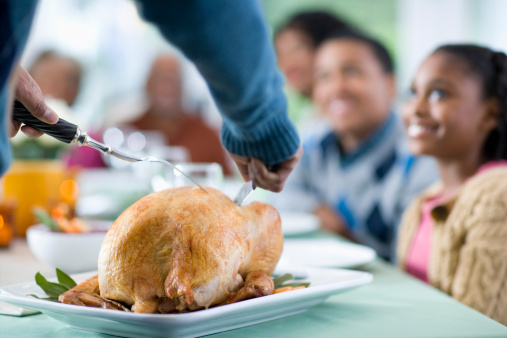 Caution is the best practice for avoiding burns especially, while frying or boiling your favorite holiday foods. It is best to keep the flame at a reasonable level to avoid splatter burns when frying food. Also, be careful with your eyes while working in the kitchen as oil or hot water can cause irritation, injury or infection. 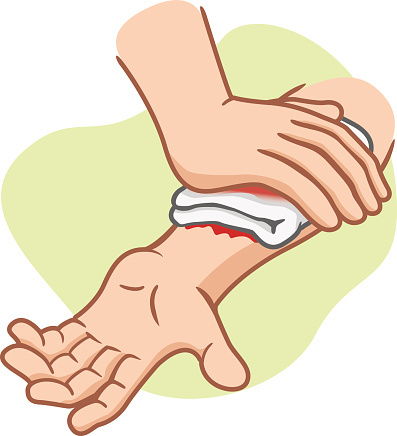 In addition to burns, hospitals also treat many people who suffered lacerations from knives while chopping or carving foods. Most injuries occur on the hand, knuckles or tips of the fingers. In some cases these injuries can result in stiches or even the loss of a digit. When using knives it is very important to use the right tool for the job. Don’t use a bread knife to carve a piece of meat or try to chop vegetables with a paring knife. It might sound odd, but always keep your knives sharpened. More kitchen injuries come from people using cutlery with dull blades than sharp ones. • When chopping vegetables, slice downward and away from your body while keeping your fingers away from the blade. • Never fry a turkey indoors or in a garage or other structure attached to a building. Be careful to follow specific thawing, preparation, and cooking temperature and timing instructions to avoid potential serious injury. • Keep a fire extinguisher handy in the kitchen, and know how to use it. 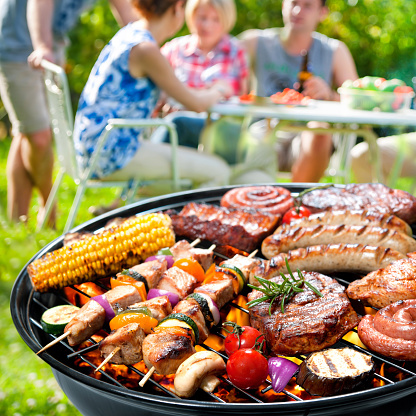 • Never leave your food unattended while frying or grilling. • Use a timer and routinely check whatever you’re cooking. • Keep your cutting area well-lit and dry. Good lighting will help prevent an accidental cut of the finger and making sure your cutting surface is dry will prevent ingredients from slipping while chopping. • Make sure to wear a mitten when you are grabbing food from the oven. Jamaica Hospital’s Trauma Division recognizes that many of these injuries, accidents, and fatalities are preventable. Our Trauma Division is fully dedicated to reducing and preventing these injuries through community outreach, education and advocacy. Put a kid in front of a trampoline and dare them NOT to jump on it. They can’t resist! Trampolines provide hours of fun for children (and even some adults), but how safe are they? The answer is not very safe at all. Trampoline jumping poses a high risk of injury for children. The activity can result in strains, sprains, fractures and other injuries — including potentially serious head and neck injuries. 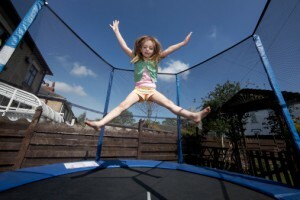 In fact, over a ten year period, trampoline injuries accounted for nearly one million visits to emergency departments. Due to these alarming statistics, the American Academy of Pediatrics now strongly discourages the trampolines for residential backyard use. In addition, most home owner insurance policies don’t cover trampoline-related injuries. Only allow children on trampolines with safety nets. Trampoline enclosures are special nets that surround the trampoline to ensure children don’t fall off. Make sure they are padded. Trampolines padding should cover the frame, springs and surrounding landing surfaces with shock-absorbing pads. Place the trampoline on level ground. Make sure it’s a safe distance from trees and other hazards. Limit trampoline activity. Allow only one person to use the trampoline at a time. Don’t allow somersaults or other potentially risky moves on the trampoline. Don’t allow unsupervised jumping. If you use a trampoline ladder, always remove it after use to prevent unsupervised access by children. While following these rules won’t guarantee that your child won’t get injured on a trampoline, they can decrease the likelihood of having to take a trip to your local emergency department.